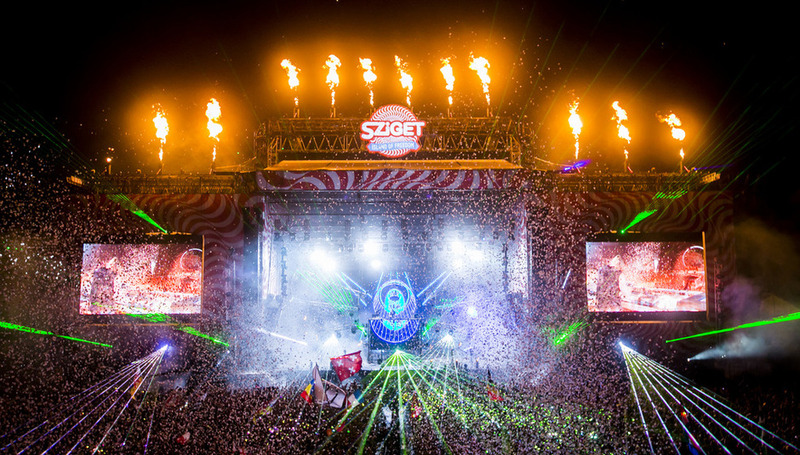 If you've never contemplated a trip to Budapest, Hungary to take in its flagship Sziget summer festival, here are five reasons why you're a fool to have not consider that, okay? The Sziget line-up has its fair share of big-name crowd-pleasers this year. There are genre-defining artists like Blink 182, The Prodigy and Outkast, electronic titans such as Skrillex, Deadmau5 and Calvin Harris, international superstars like Stromae, Ska-P and Die Fantastichen Vier, and some sort of unholy trinity of British artists in the form of Bastille, Jake Bugg and Tom Odell. But look a little deeper and there’s plenty of quality to be had: Wild Beasts, Darkside, Manic Street Preachers, Kelis, Queens of the Stone Age, Klaxons, Bonobo, Girls In Hawaii, London Grammar, Mount Kimbie, Kavinsky, The Big Pink and Band of Skulls among the artists likely to appeal to DiS-cerning festival-goers. And that’s to say nothing of all the world music and genre-specific stages where you might discover the best new band you’ve never heard of. To check out the full line-up so far, click here. You’re pretty much guaranteed temperatures of 25-30 degrees or higher in Budapest in August, so you can leave your wellies at home - indeed, if it does rain at all, it’ll come as a refreshing change rather than a depressing inevitability. Fortunately, the organisers are well aware that watching bands in the baking midday heat isn’t an ideal experience, and so the times are staggered to start at more like 4 o’clock in the afternoon - and even when it cools off to more like 15-20 degrees in the evening, you’ll still be good to walk around in your shorts. For more info and tickets, check Sziget Festival’s official website.